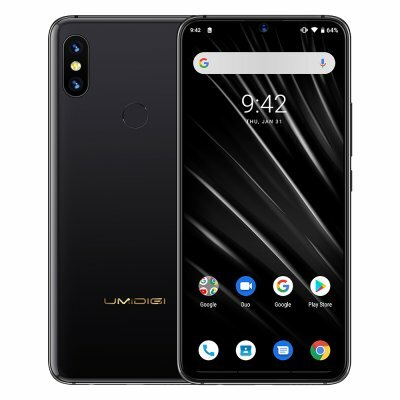 Successfully Added UMIDIGI S3 Pro 4G Phablet Helio P70 Octa Core 2.1GHz 6.3 inch Android 9.0 6GB RAM 128GB ROM Fingerprint Sens - Black, EU PLUG to your Shopping Cart. 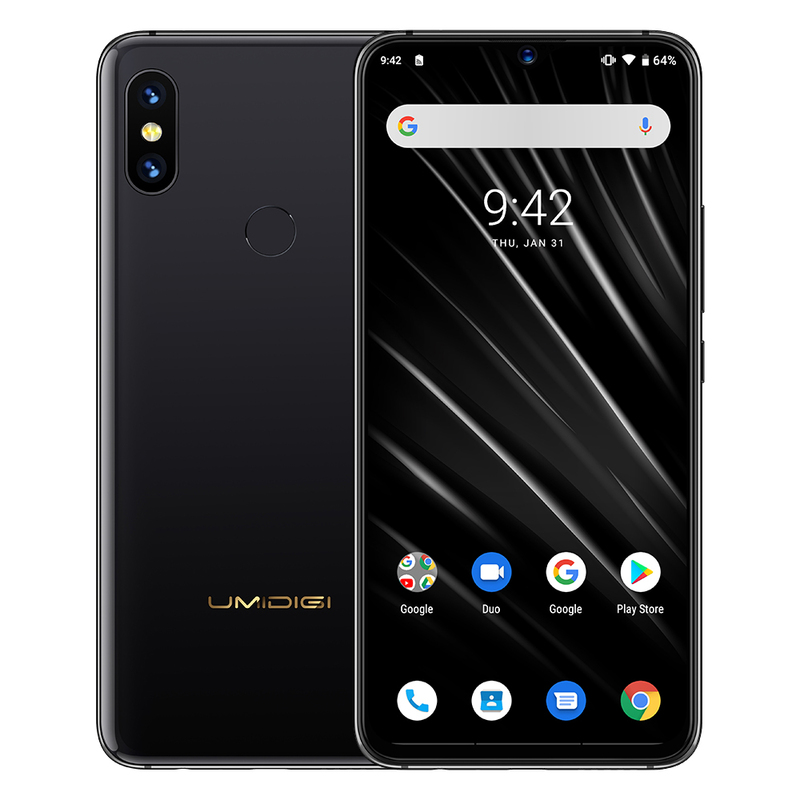 Powered by the Al Master Helio P70 processor and enormous 6GB RAM, UMIDIGI S3 Pro deals with multitask smartly, delivering smooth responsiveness and lightning-fast gaming experience. While the 128GB ROM enable the massive storage for your games, movies, music and photos. Powered by the latest android version Android 9 Pie, UMIDIGI S3 Pro offers you the smarter and faster mobile experience easily connecting to your life. Immerse yourself in the seamless 6.3-inch FHD+ water drop display. When you turn on the screen, enjoy the distinct clarity and vivid colour and dive into your own world. UMIDIGI S3 Pro is designed to impress with its four-sided curved ceramic back plate and highly durable aerospace-grade aluminum alloy frame. This is a masterpiece in your hand. Designed for ultra clarity, the 48.0 MP Sony IMX586 lens paired with advanced algorithms and masterful Helio P70 Al, captures great details in every photo. While the 12.0 MP telephoto lens focus on your distant shots. The shots keep fairly sharp even if you zoom in several times. Equipped with the Sony’s most advanced 1/2.0 inch IMX586 sensor, supporting 4-in-1 Light Fusion with synthesis 1.6μm large pixel size, the UMIDIGI S3 Pro is tackling low-light and night time photography effortlessly. Your everyday shots are beautiful, clear, bright and without noise even when daylight fades and night draws in. The 20.0MP Sony IMX376 front camera means every selfie you take will be vibrant, sharp and dazzling. With the masterful Helio P70 Al, the UMIDIGI S3 Pro can easily bring out your natural beauty. UMIDIGI S3 Pro supports almost all global LTE bands - ideal for business travel. And the S3 Pro also enables 4G VoLTE in both slots simultaneously. Enjoy faster data transmission, lower power consumption and more reliable connection. Less charge time, do more.With a huge 5150mAh battery and Al power management, the UMIDIGI S3 Pro puts enormous power in your hands, while the 18W Fast Charging gets you up and running in just a while.